Clouds are not spheres, mountains are not cones, and lightening does not travel in a straight line. The complexity of nature's shapes differs in kind, not merely degree, from that of the shapes of ordinary geometry, the geometry of fractal shapes. Now that the field has expanded greatly with many active researchers, Mandelbrot presents the definitive overview of the origins of his ideas and their new applications. 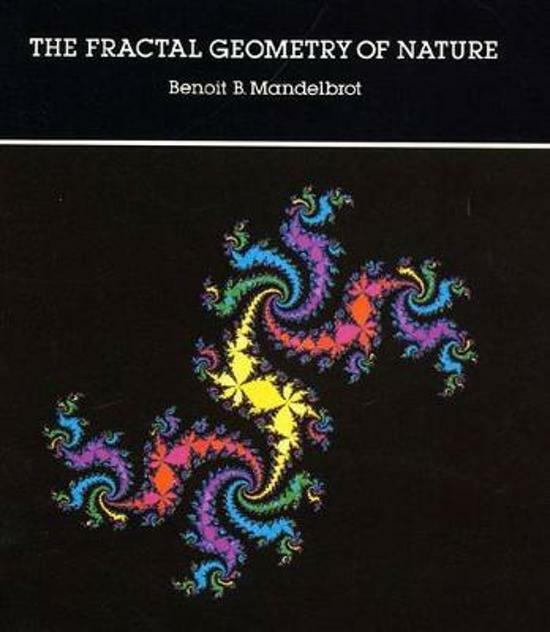 The Fractal Geometry of Nature is based on his highly acclaimed earlier work, but has much broader and deeper coverage and more extensive illustrations.